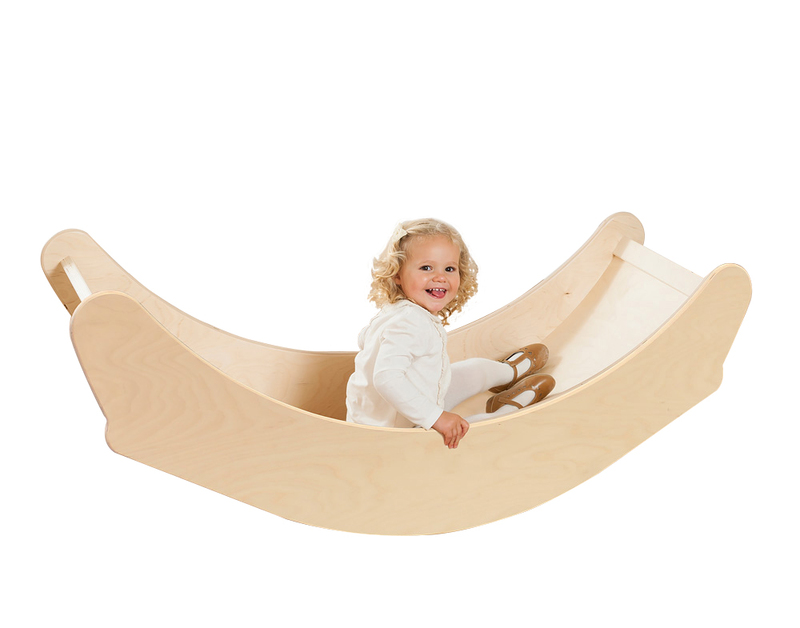 The 3-in-1 rocking boat is three products in one - it can be a rocking boat, turn on its side to become a counter, and turn upside down to make a slide. It is sustainably manufactured in the UK using durable beech plywood which is finished with a child-friendly, water-based lacquer which helps maintain the natural wood appearance and allows for easy cleaning. When flipped on its side the rocking boat becomes a 550mm high counter perfect for classroom and nursery role play. It can then be flipped either way to become a small slide with steps or a rocking boat. The rocking boat is the ideal indoor play equipment for schools with limited space. Please note: the toys featured in the counter image are not included with the 3-in-1 rocking boat. Please Contact Us or alternatively call for more details on 01733 511121.